A practical problem in the biohydrometallurgical processing of sulfide raw materials is the need to increase the efficiency and stability. The heating of pulp in bioreactors causes exothermic lysis of microorganisms and cessation of the production process. 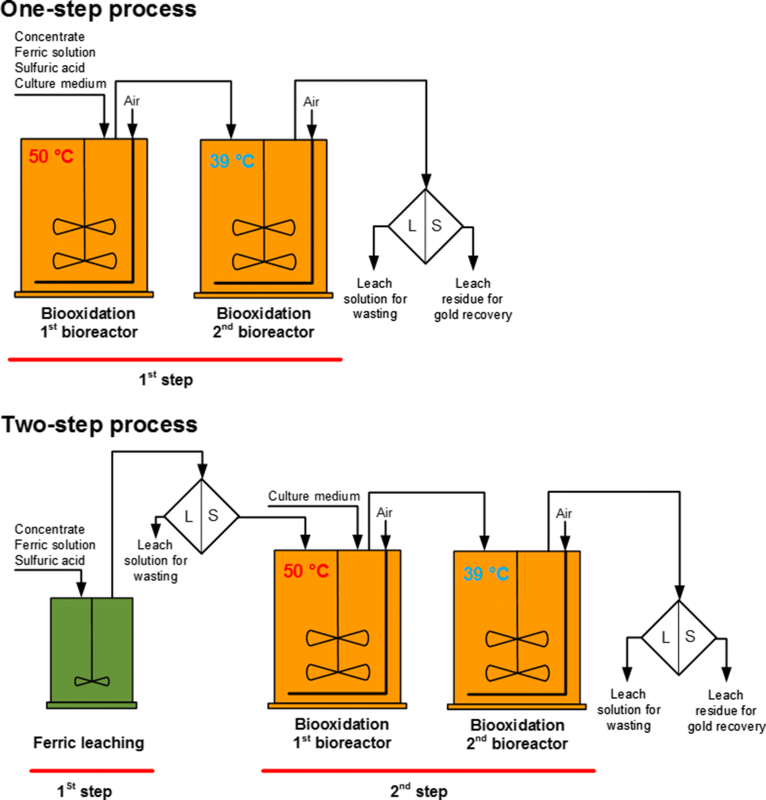 To find solutions to these problems, the present study examines the biooxidation of a gold-bearing sulfidic concentrate in a two-step (ferric leaching + biooxidation) process with different temperatures in the bioreactors at the biological step: 50 °C in the first bioreactor and 39 °C in the second. The main minerals of the flotation concentrate were pyrrhotite, pyrite, arsenopyrite, and stibnite. The preliminary ferric leaching of the concentrate for 5 h at 80 °C and pH 1.15–1.35 allowed oxidization of 26.8% of arsenopyrite and 54.4% of sulfur in the sulfides. At the biological step, a moderately thermophilic culture of acidophilic microorganisms dominated by representatives of the genus Sulfobacillus was used. The residence time of the pulp in each bioreactor was 2 days with a total residence time of 4 days. 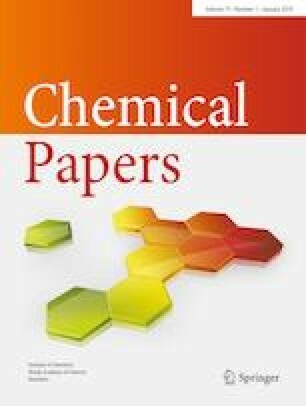 This study indicated that the efficiency of two-step process with the use of a two-temperature mode is comparable with the constant temperature mode and much higher than that of the one-step process. The final oxidation levels of arsenopyrite and sulfidic sulfur for the two-step process with elevated temperature in the primary bioreactor were 73.1 and 65.9%, respectively, with 82% gold recovery. The work was supported by Federal Agency for Scientific Organizations, Russia [project no. 0104-2014-0108].